Transit Beer/Meetup is off the table for now, at least until a month or two. However, Sound Transit is opening the light rail on the 18th of this month. I’m not real keen on opening day for things like this, as usually there are a bunch of bureaucrats and propaganda littered about everywhere. So what I was thinking was a trip up the week after. Either on the 25th or 26th. The 25th is a Saturday and the 26th, obviously, a Sunday. So who do I have for takers, and is there a preference for which day? Leave a comment and let me know if you’re interested. 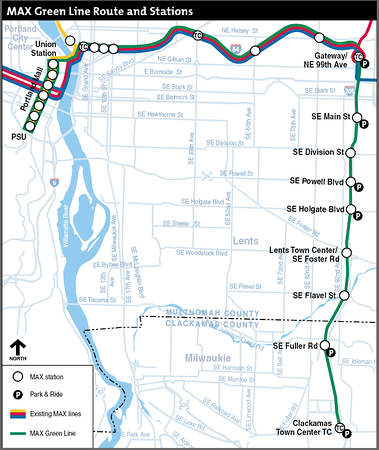 On the note of Portland’s Light Rail openings, does anyone want to come and film/video the opening along the green line? I was thinking we could actually explore and find close by, amenities, bars, and other cool places that would be of interest to go to. …which we may not find and we can document that to information the Portland Citizenry! :) This all of course will have to occur at the Green Line’s opening in September, but no reason not to start planning for a get together. Please leave me some comments and I’ll start organizing said events and meet ups. ← Previous Post WES Truck Accident? I’d be up for a little video. Have HD cam and microphone. I’ll post again soon in relation to the date and such.